The Disappears deliver a rocker with their 6 song Guider album available now via Kranky Records. 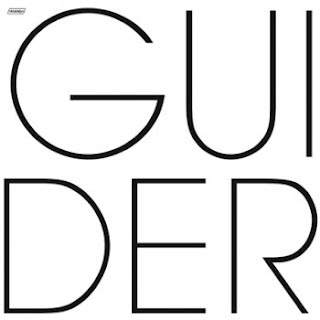 Guider has an obvious raw, edgy, garage rock feel to it. There is no nice soft cuddly part to this record. It starts with a bang and ends the same way. Guider is just barely over 30 minutes in length and half of that comes from 'revisiting' which can captivate you more then any other song 15 minutes plus that I can recall. The other five songs are pretty compact and come at you fast. Guider has a steady beat that sets up the album nicely. Halo has some drum action that can't be missed and my fav song Superstition basically wraps up Guider with a short powerful jolt. Here is a free download of one of the tunes off of the album.